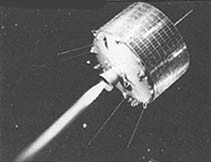 Syncom was a series of experimental communications satellites, built by Hughes Aircraft, that demonstrated the feasibility of geosynchronous operation. 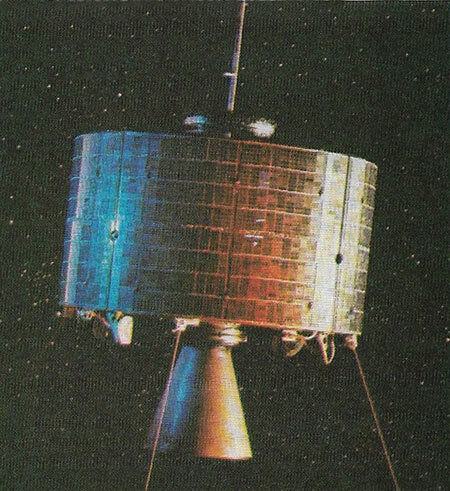 A nitrogen tank explosion crippled Syncom 1 during its apogee burn, leaving Syncom 2 to become the first successful geosynchronous satellite. However, because its orbit was inclined to the equator, it did not remain absolutely fixed over the same spot but described instead a lazy figure-eight path north and south of the equator every day. Ground stations followed its movements in latitude, thus making it available 24 hours a day. The first geostationary satellite was Syncom 3, launched to provide live daily TV coverage of the 1964 Tokyo Olympics which it did successfully. The two functioning Syncoms were eventually handed over to the Department of Defense to provide reliable transpacific communications; Syncom 2 was "walked" along the equator using its control thrusters, until it had joined its sister on the other side of the globe. Syncom was the descendant of Relay and Telstar and the immediate of more capable geostationary satellites such as Intelsat.